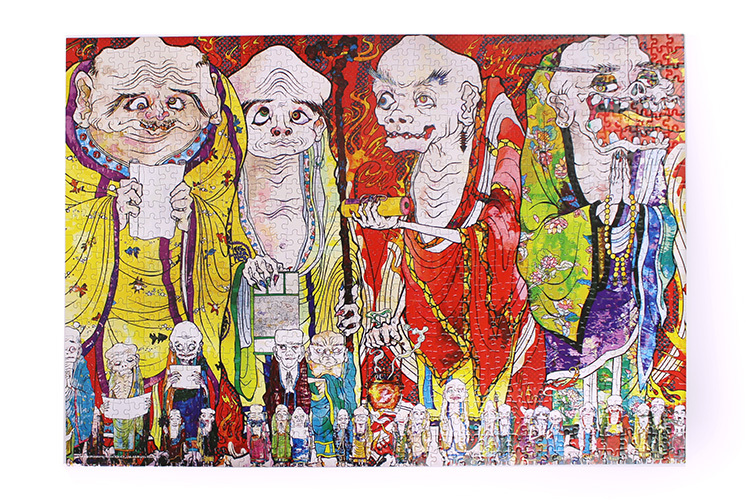 Copyright © Mori Art Museum, The Asahi Shimbun, NHK Promotions Inc. 2015-2016 All Rights Reserved. 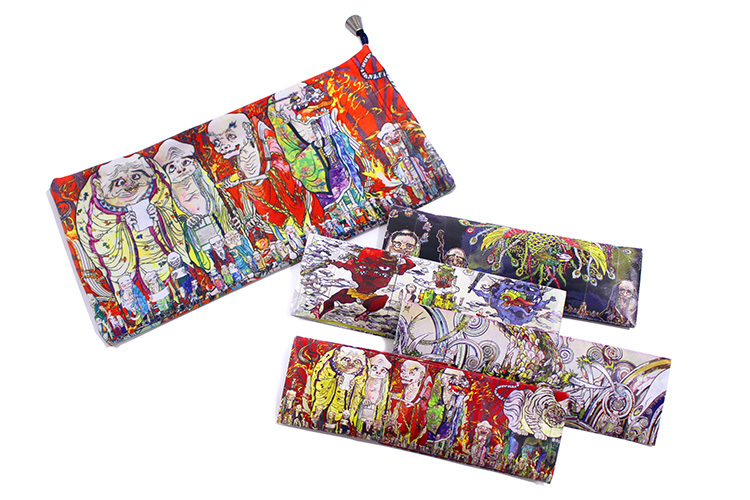 + Plus a host of other items feature The 500 Arhats and other new work related motifs. Audio guide devices (Japanese / English) are available for the visitors to the Museum. 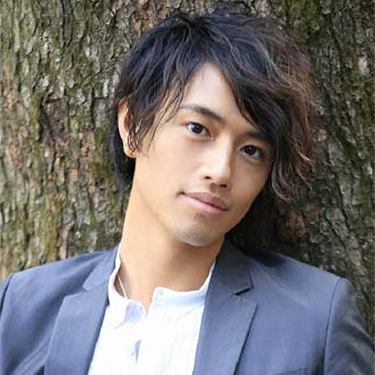 The audio guide in Japanese language version is specially narrated by an actor Saito Takumi, working in various fields such as dramas, films, commercial films et al. 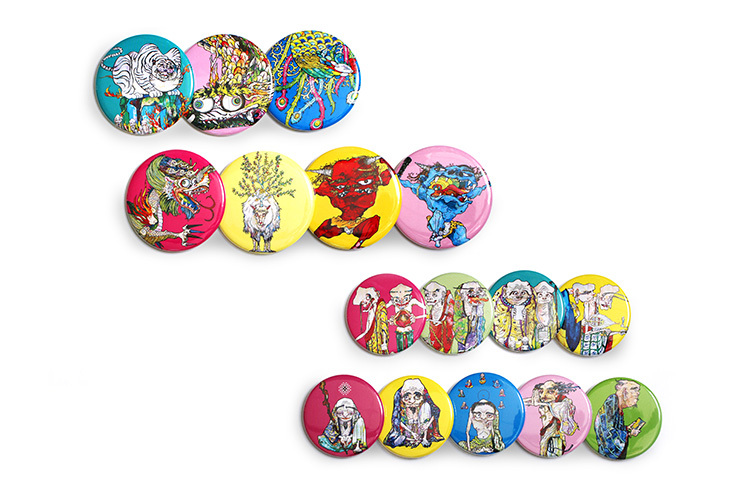 A gift shop will be set up within the gallery for "Takashi Murakami: The 500 Arhats." 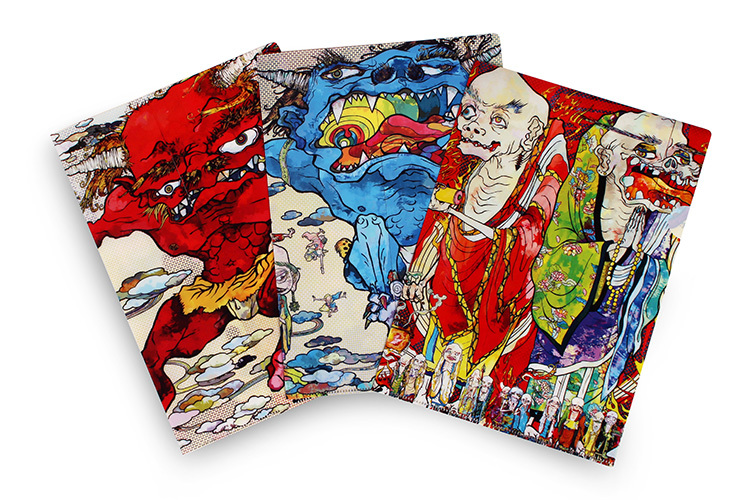 In addition to t-shirts, folders, and other objects imprinted with the 500 arhats design, as well as unique items such as souvenir Japanese sweets and cookies, the shop will also carry limited edition products available exclusively at the venue. 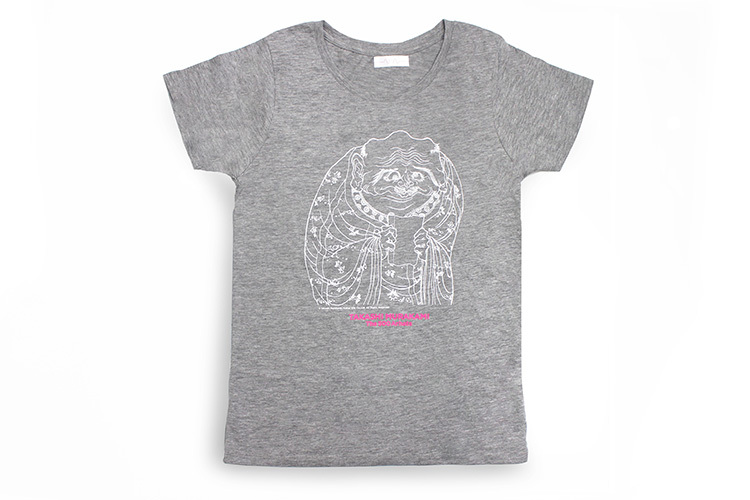 * Some of the merchandise will NOT be available at the time of the opening. 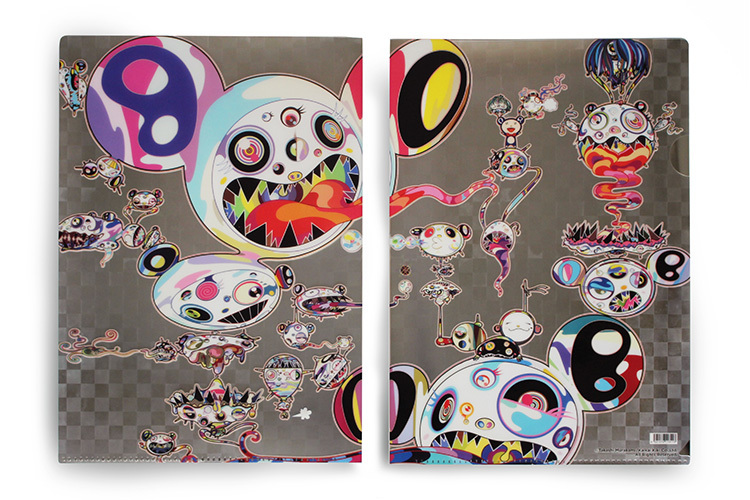 At last, the exhibition catalogue of "Takashi Murakami: The 500 Arhats" will be on sale on December 29! 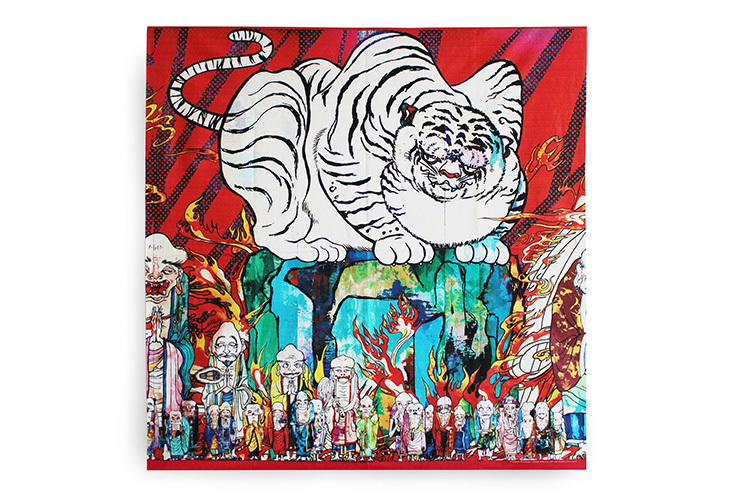 Get your copy upon visiting the exhibition. Autograph Signing Session will be held on January 9. 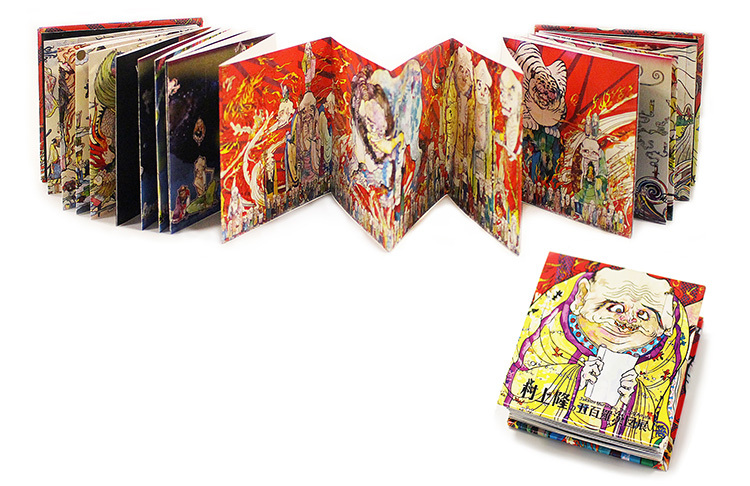 * Please be informed that there might be some cases where the catalogues are out of stock. * Number tickets to entitle the visitors to join in the session will be handed out from 10 a.m. on the day. 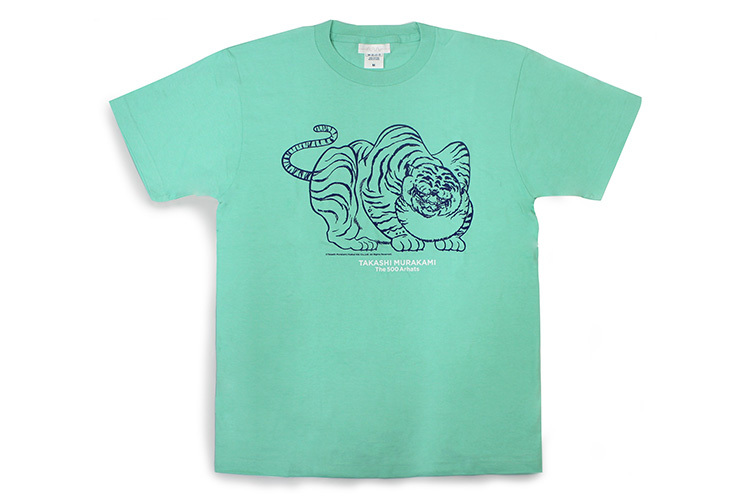 * Signing will be applied to the catalogues purchased on the same day only. 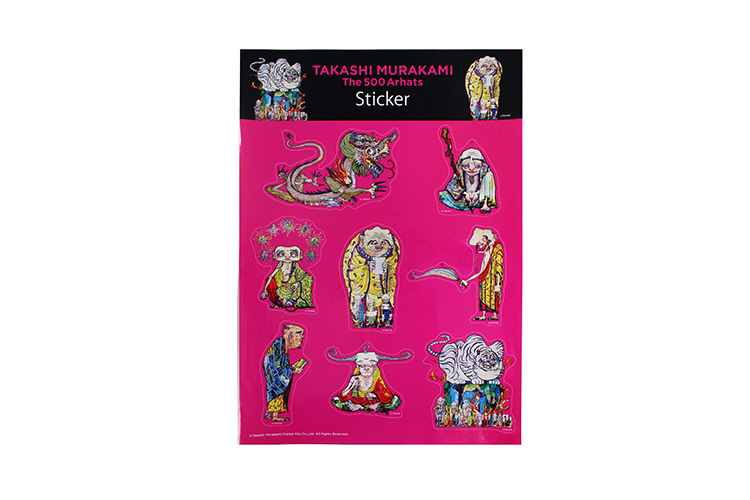 To commemorate the "Takashi Murakami: The 500 Arhats" exhibition, official figures by Kaiyodo will be made available for purchase exclusively at the exhibition venue. 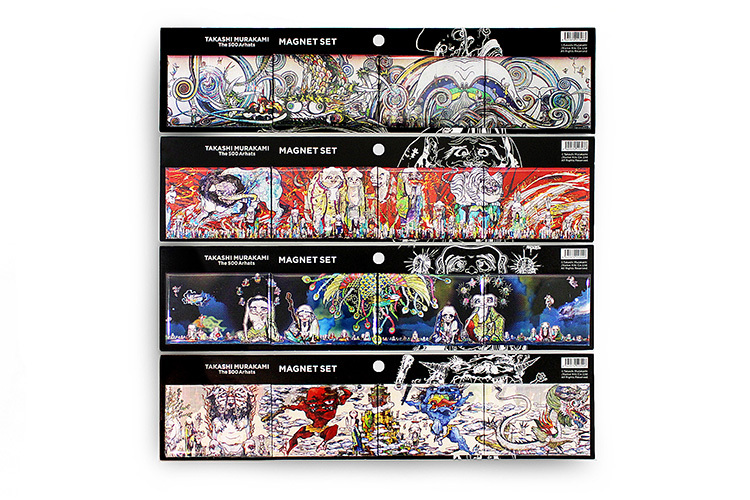 The figures come in 10 varieties. 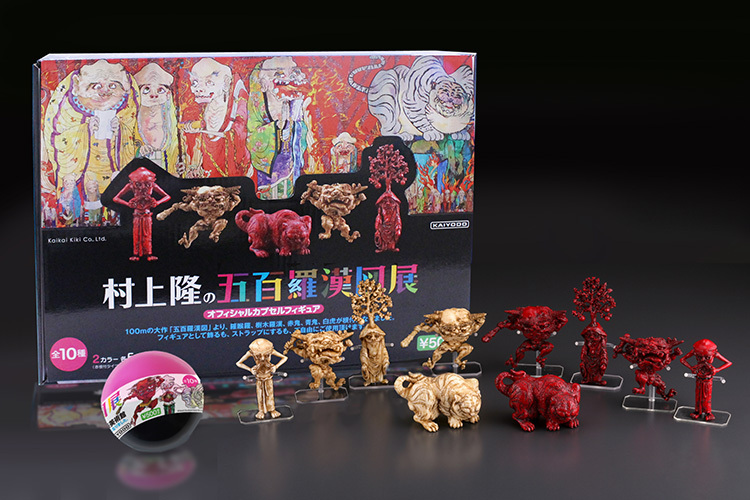 Of these, White Tiger, Ra-hula, Red Ogre, Blue Ogre, and Woody Arhat are each available in either faux red netsuke or ivory finishes. 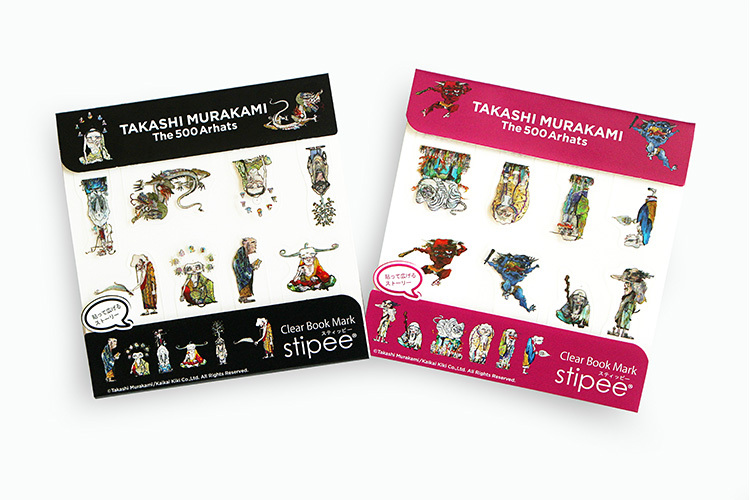 Savor through these figures the mind-bending world of The 500 Arhats as represented by Murakami's 500 unique arhats and supernatural beasts. 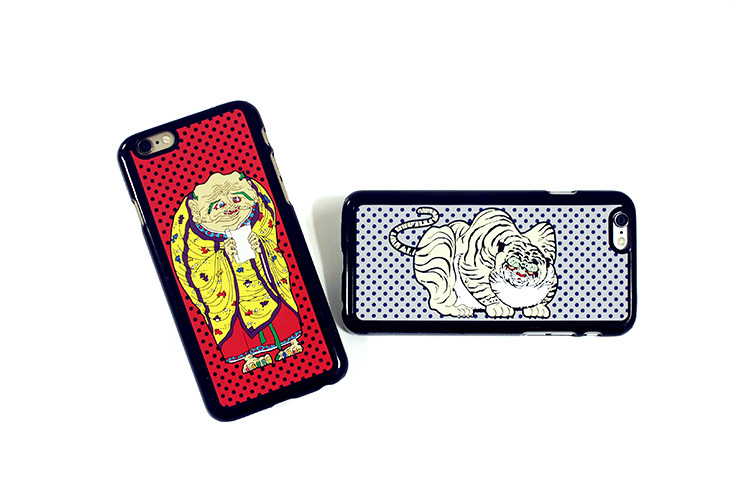 Also usable as mobile phone charms. 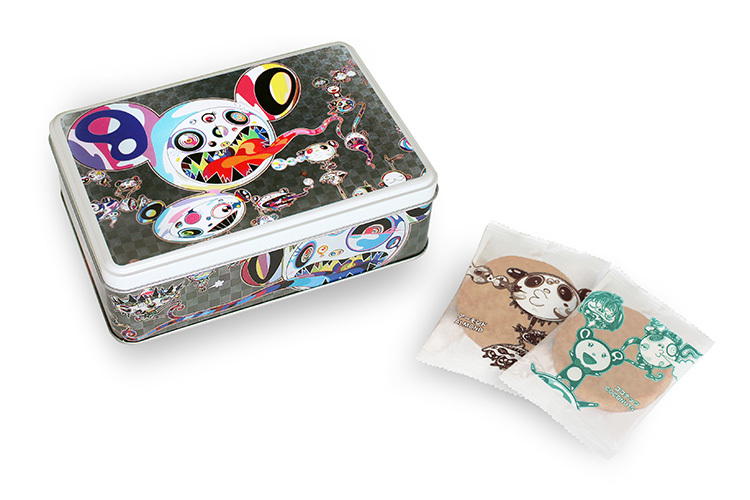 Kaikai Kiki Co., Ltd. / Kaiyodo Co., Ltd. 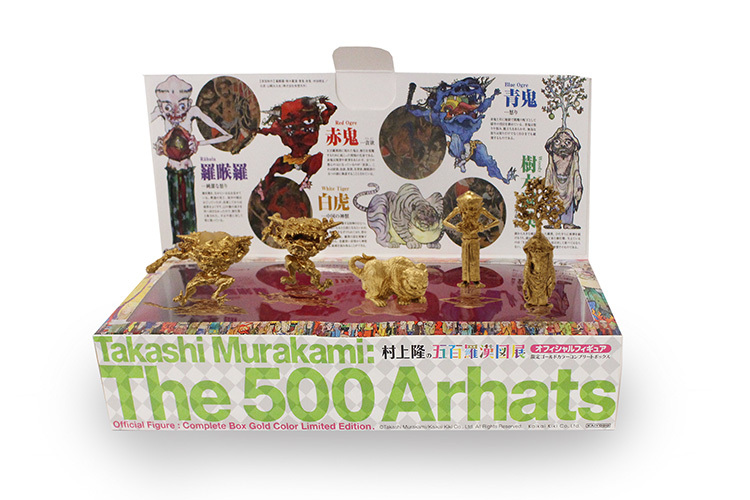 Available at the exhibition venue only, this miniature book encapsulates Takashi Murakami's The 500 Arhats in a single volume. 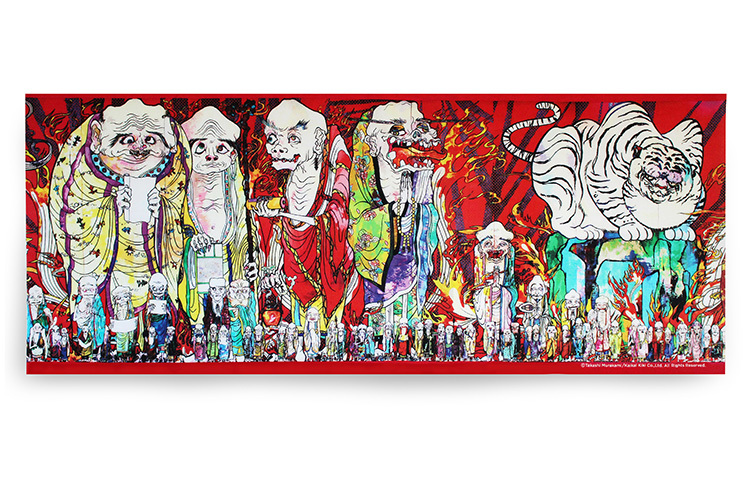 Included are all four parts of The 500 Arhats (Blue Dragon, White Tiger, Vermilion Bird, Black Tortoise). 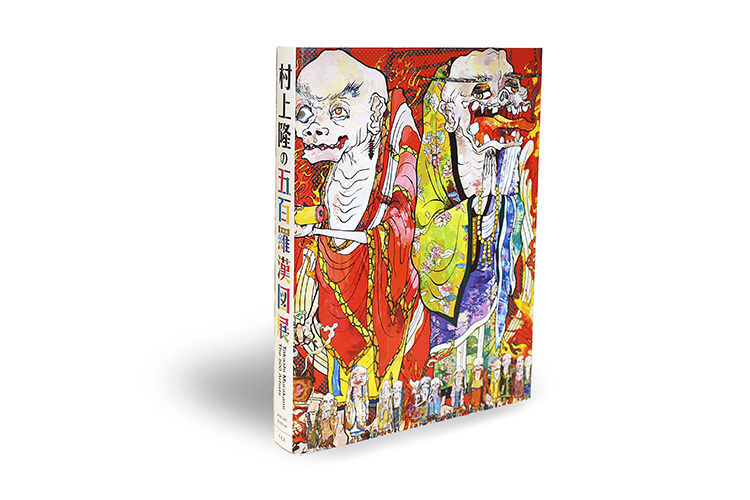 On the back are written the names and explanations of the arhats and supernatural beasts featured in the work, making for substantial reading despite its diminutive size. 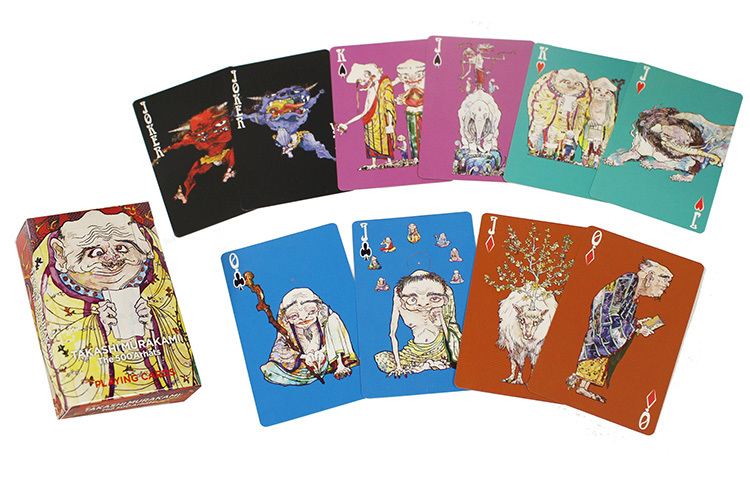 The arhats and supernatural beasts that appear in Takashi Murakami's The 500 Arhats have been turned into playing cards. 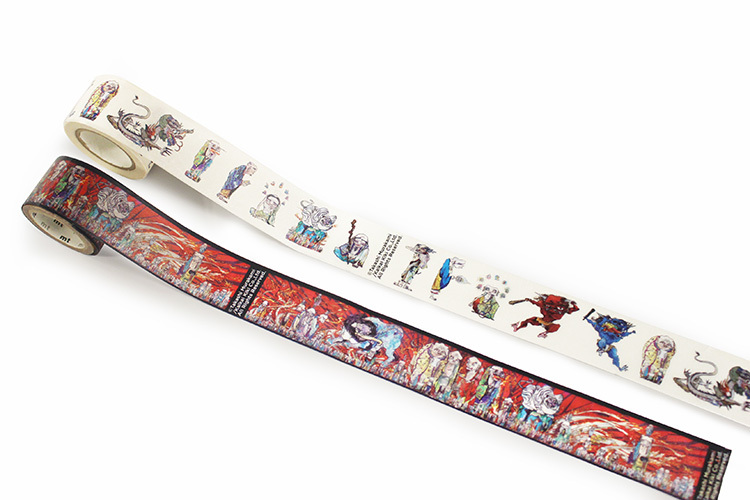 The backs are printed with one of the Sixteen Arhats, Panthaka, while each of the 52 faces is printed with a different character. The Jokers are Red Ogre and Blue Ogre. 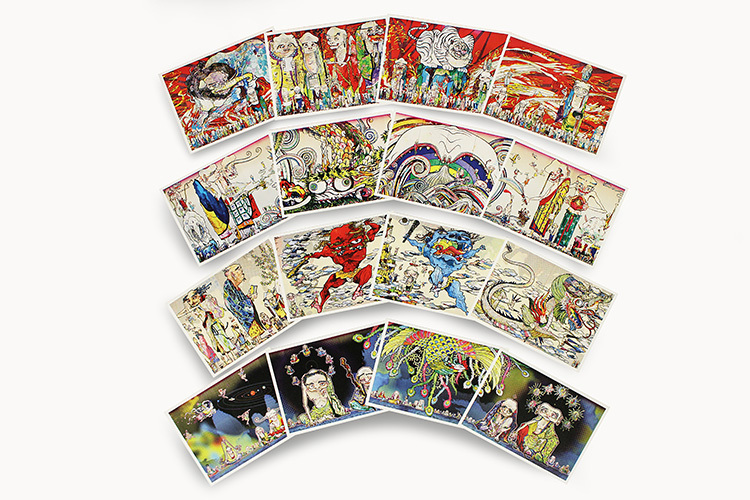 A sumptuous deck of cards you’ll find yourself admiring again and again. 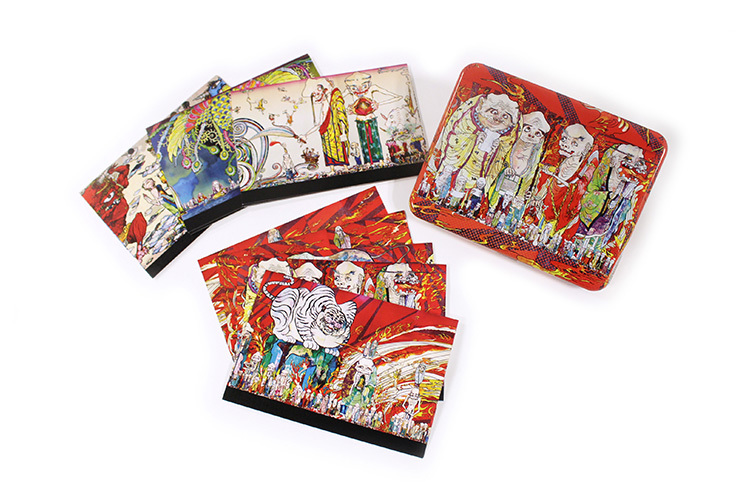 Plus a host of other items feature The 500 Arhats and other new work related motifs. 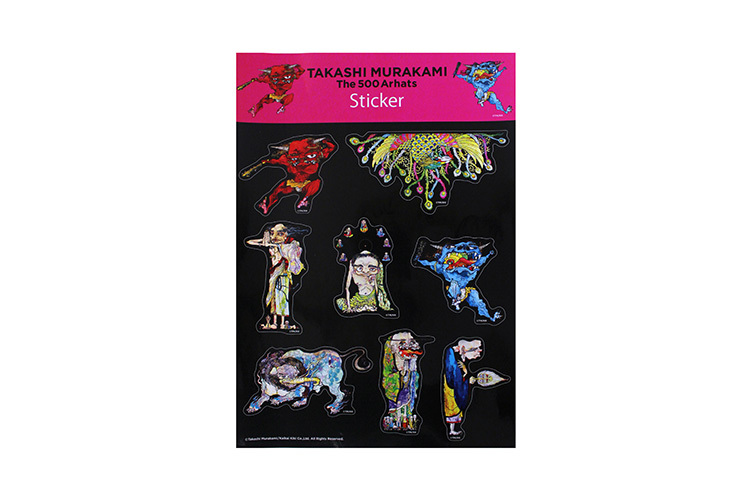 * Information is also available at the Mori Art Museum Shop's website. 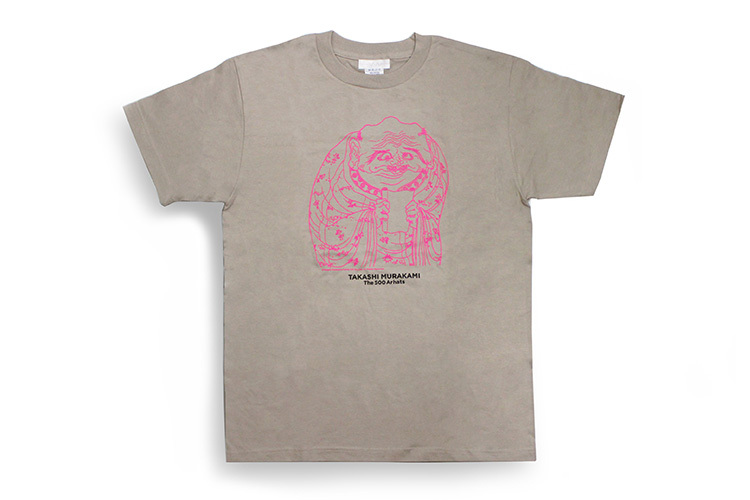 * Some of the merchandise will be sold out when they reach to the limited number. 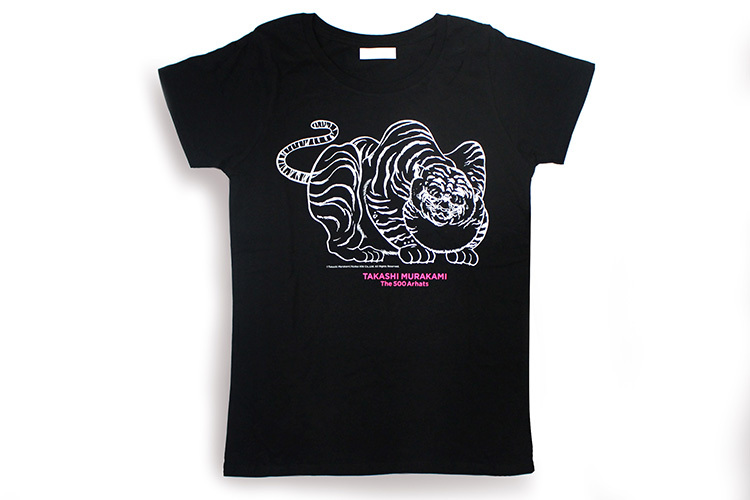 * Number of purchase per person is limited with some of the merchandise.